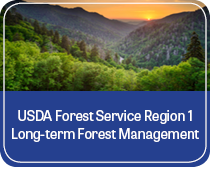 MB&G’s forest planners work with private, state, federal, and tribal forest land managers to develop mid and long-term forest management plans that meet the client’s objectives. 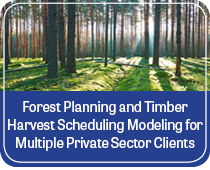 As experts in forest economics, harvest scheduling, growth and yield modeling, and operations research, our foresters and forest planning analysts find the best way to meet our clients’ management objectives. Some plans focus primarily on financial objectives, others seek a balance between a variety of competing objectives like habitat protection, forest resilience, and financial returns. Over the past 20 years, we have worked on more than 160 properties covering over 65 million acres. With expertise in forest economics, harvest scheduling, growth and yield modeling, and practical land management operations, our forest planners find the best solutions, given the client’s objectives and resources. Our wide-ranging experience means that we can quickly define the planning problem, and develop tools and techniques to answer planning questions efficiently and effectively. We have several planners that have experience with RemSoft’s Woodstock harvest scheduling software, as well as other approaches for more unique planning projects. MB&G has been at the forefront of forest planning techniques for most of our 95-year history, and we are committed to maintaining that expertise. Public Forest Planning – We developed a set of forest management models to help the BLM evaluate alternative management strategies for the 2.5 million O&C lands in Western Oregon. Private Forest Planning – We develop forest management plans for private landowners that seek to balance benefits between current and future beneficiaries. 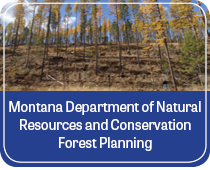 Tribal Forest Planning – We developed a forest plan designed to reduce risk of catastrophic wildfire while protecting riparian function in streamside management zones. Due Diligence – We develop forest management plans that help bidders project and evaluate harvest and cash flows from large forestland estates.